Holy Moses, I was not expecting to love this book the way I did. I had zero intentions of reading it in one sitting, but that's just what happened. 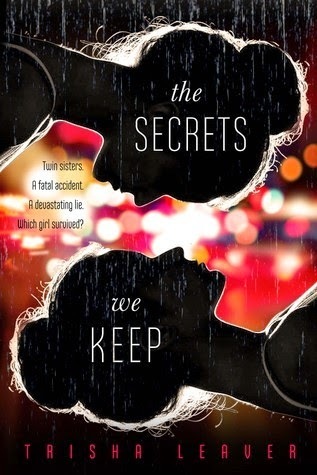 THE SECRETS WE KEEP sucked me in from the first chapter and kept me captive until the very end. There's something about twins that fascinates me. Maybe it's that built-in soulmate angle or having a confidant forever. Despite my lofty ideals, Ella and Maddy are pretty opposite and exist separately. Ella keeps her head down while Maddy is always searching for the spotlight. When Ella wakes up after a tragic accident where she was driving Maddy's car and the identical passenger was killed, everyone assumes she is Maddy. Maddy, the golden girl. Feeling responsible, Ella decides to bury Ella so she can live out the life Maddy was meant to have. But it's never that simple. There are layers of lies and deception in Maddy's world that she shielded Ella from. So now Ella must unravel the mysterious surrounding her sister's life and decide if she wants to right the wrongs, but if she does that, she'll be outing herself. Ella is such a fantastic character. Complex and beautiful, and my heart broke for her. She genuinely believes that everyone is relived Maddy is the surviving twin and her guilt eats up my gut the way it eats up the pages. She tries so hard to be the Maddy everyone loved, slowly losing more of Ella in the process. She is literally tearing herself apart the majority of the book. Trish Leaver writes with spellbinding detail. A story like this could easily get cliché or overly dark. She tempers the darkness and somberness with subtle light. She truly pulls you into the mind of Ella, breaking down where Ella begins and Maddy ends. 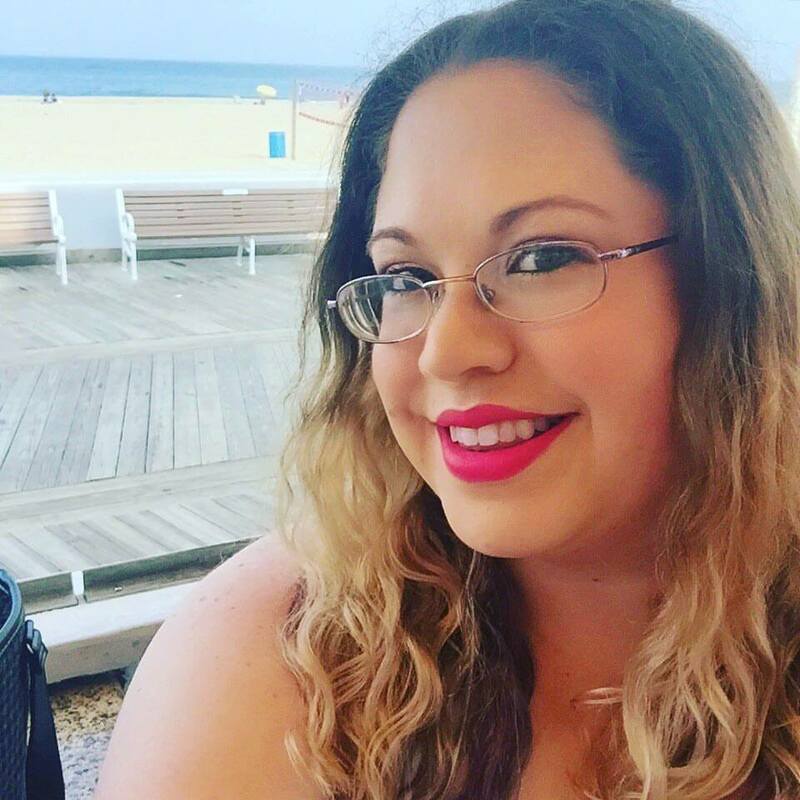 Since the BEA edition of this post seemed to be popular, I thought I would add one for Book Con based on last year's experiences. Because ... well, why not? BEA is only 4 weeks out and a lot of people are going to be having a lot of different emotions both leading up to and during BEA. While this post will be graphic heavy, I just want each of you to know that no matter what you feel ... there's a GIF for that emotion. What comes to mind when you hear the word 'fearless'? Flinging yourself off a bridge, with only a bungee rope tied around your ankle keeping you from a watery death? Climbing Mount Everest? Skydiving? Swimming with sharks? But there are other ways to be fearless. And sometimes, you don't even know it's happening. When I was 19, I left home to go to university. I was going to study Fine Art, and I was lucky enough to have a choice of places where I could go: Winchester, Brighton or Bournemouth, all of which were less than 2 hours away from home, or Falmouth, which was about 6 hours away. I chose Falmouth. Nothing unusual about that, you might say – it was in Cornwall, by the sea, an art college with a great reputation. Who wouldn't choose to go there? But I was an anxious teenager who didn't even like having to leave the house to buy a bottle of milk. Years of bullying at school had left me insecure and terrified to talk to people I didn't know. I spent most of my time at home, hiding in my room and writing stories. So moving almost 300 miles away, alone, was a huge deal for me at the time. But I was sick of being so scared all the time. Subconsciously – and consciously, too – I knew the only way I could get out of the rut I'd worked myself into was to make a clean break of it, and go somewhere where I knew I couldn't just run home if I was feeling lonely or homesick. Still, the enormity of what I'd done didn't really sink in until I was there, alone in my rented room on the bottom floor of a cavernous, marina-side house. My dad had just driven away after dropping me and my posessions off. Upstairs, my landlady, a dour, silent woman, was thumping around. I knew no one. There was nowhere to go. University didn't start for another two days. It was a definite Oh, sh*t, what have I done? moment. But although the first six weeks were rough, and many times, I was this close to blowing my student loan on a one-way train ticket home, things did start to improve. I made friends with a girl who ended up introducing me to the guy who would later become my boyfriend, and is now my husband. I made many other friends there and had fun – real fun – for the first time in years as the anxieties and insecurities that had dogged me all through school lifted away. And although I found out that painting wasn't for me, I learnt how to work for myself. If I hadn't taken that first step and been fearless enough to move away, despite the voice in my head screaming at me not to, I wouldn't have the life I have now. I wouldn't have the friends I have now. Even if you're scared, sometimes you just have to go for it anyway. I just want to crawl inside this book and live there forever. Fun, flirty and absolutely adorable. It is in the quintessential beach or poolside read that is sure to captivate teens and adults. Avery is a good girl - she's the girl I was in school. Never making waves, loyal and a touch innocent. She has this hopefulness and self deprecating humor that I just GET. Because I am the exact same way. Fletcher is my ideal book boyfriend - he is everything and more I could want in a book boy. He's funny and sweet, but has this bad boy exterior that just WORKS. He is such a multi-layered, versatile character. These two alone would be enough to keep my attention, but their chemistry together sets the pages on fire and had me never wanting the story to end. From start to finish, Rachel Hawthorne drew me into Avery's story and made me fall in love. 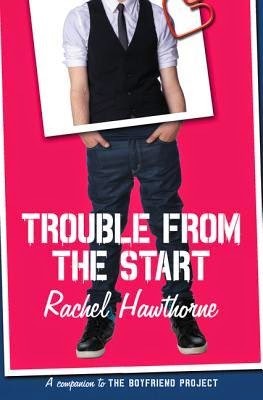 TROUBLE FROM THE START is one of the best contemporaries I've read in a long time. Scratch that - one of the best books I've read in a long time. This book is being paired with THE BOYFRIEND PROJECT, which releases the same day (April 28, 2015) and follows Avery's best friend, Kendall and her boyfriend, Jeremy, who you will meet in TFTS. Paired together, this is an incredible duo of books that are a great addition to anyone's shelves. Rachel Hawthorne, who also writes as Lorraine Heath and Jade Parker, is the daughter of a British beauty (her mother won second place in a beauty contest sponsored by Max Factor® during which she received a kiss from Caesar Romero-who played the Joker on the old Batman TV series) and a Texan who was stationed at Bovingdon while serving in the air force. Lorraine was born in Watford, Herts, England, but soon after moved to Texas. Her "dual" nationality has given her a love for all things British and Texan. She enjoys weaving both heritages through her stories. When she received her BA degree in psychology from the University of Texas, she had no idea she had gained a foundation that would help her to create believable characters—characters that are often described as “real people.” She writes for both adult and young adult readers. She received a Romantic Times Career Achievement Award for Americana historicals. Her novels have been recognized with a RITA, Romance Writers of America’s most prestigious award for excellence, a HOLT medallion award honoring outstanding literary fiction, a Romantic Times Reviewer’s Choice Award, five Texas Gold Awards, the Golden Quill Award, the Rising Star Award as well as other awards and recognitions. Her novels have been selections of the Doubleday and Rhapsody Book Club. Her novels have appeared on bestseller lists, including USA Today, Waldenbooks, and most recently, the New York Times. I would advise teenage Rachel to let her hair down more and not to strive for such perfectionism. Teenage Rachel was obsessed with getting good grades—which are important but they aren’t everything. Teenage Rachel should hang out with friends more and not be afraid of boys. She always worried that she would like one who didn’t like her or that she would get hurt. But bruised hearts heal. They are no fun, but they do heal. And when the journalism teacher asks if anyone wants to be the editor of the yearbook, raise your hand! You know you want to do it and you also know that you would be very good at it. You have organizational skills and you work hard. It’s okay to toot your own horn sometimes. Either way - you get 2 books! You must be a US resident and over 13 to enter. Simply comment below with your email address! Winner will be randomly selected on May 15, 2015!